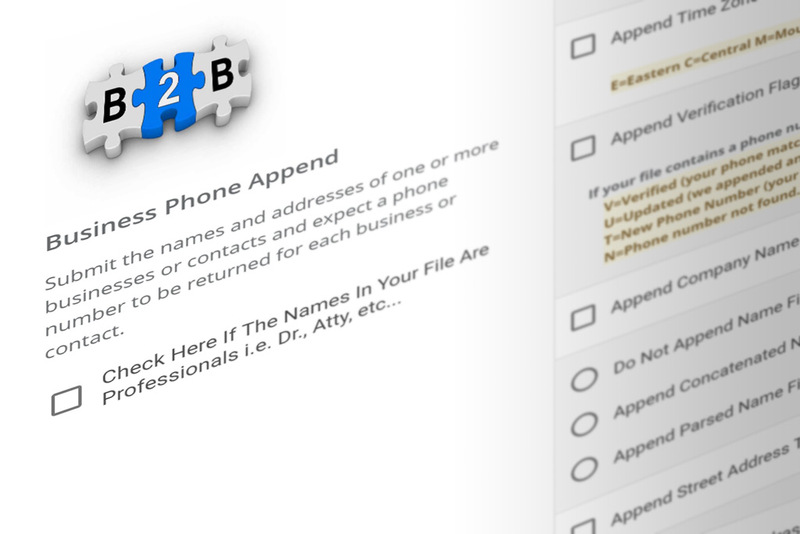 Append, verify, and suppress phone numbers for your B2B records. Speed-to-market and information accuracy are critical to your B2B telemarketing campaign’s success. The UpdateYourList.com DIY Portal allows you to instantly append business telephone numbers to your customer and prospect files in real-time to get the most out of your B2B contact records. Proprietary phone append match logic provides you the most accurate telephone numbers to power your telemarketing campaigns. Provide us with your SAN number and we can flag or drop consumer telephone numbers on the National Do Not Call Registry in addition to appending business phone numbers.